Traditional Thai Yoga Therapy also known as Thai Traditional Massage is the fastest growing and most sought after healing modality in the world today. Of course, the best way to learn is in a live class with a Master Teacher or Thai “Aachan” such as at the Thai Yoga Center in Brooksville, Florida studying with Aachan Dr. Anthony B. James and or his trained and certified SomaVeda® Thai Yoga staff Khruu or Teachers. However, if you can’t make it to a live SomaVeda® Thai Yoga class either because of scheduling or cost the next best thing is to learn from the Master Teacher at Home! 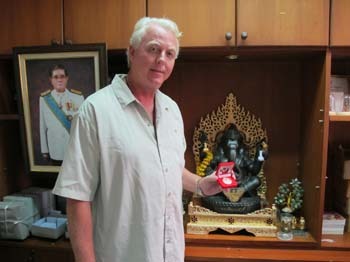 Now you can Learn SomaVeda® Thai Yoga at Home! Add SomaVeda® Concepts to your existing practice! Don’t waste your time on lessons from untrained and un-certified and or non-authentic teachers? Come to a genuine source! Hi everyone and good day! I am continuing my current project of bringing you new and useful information and content to empower you to Jump Start Your Healing Practice. It’s not enough to just have a goody bag of useful “tricks” and “bits” of therapies to put together a successful healing practice. Degrees and Certifications are fine but in and of themselves do not lead one to a happy, successful and fulfilling life, a intrinsically successful, happy life. New Video Lessons on SomaVeda® Thai Yoga Vinyasa (Flows for various breakouts)! It is good that our traditions have deep and ancient roots with elders and teachers who have lived the life of healers, traditional doctors and therapist for centuries, literally. They are our role models. We do not have to reinvent the wheel of success in what we do by ourselves. Only our current life situations and perhaps cultural considerations are unique. But what we are doing in life is not new or unique. We can learn from our elders and these lessons and qualities I am recommending you cultivate don’t originate with me personally but they are passed down to us by previous generations of healers who chose to practice true medicine as a way of life for their whole life! Please share these courses with your professional friends! 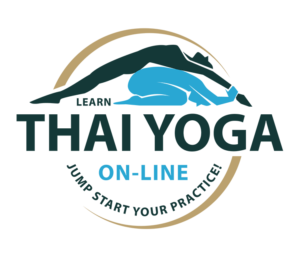 The ONLY On-line Thai Yoga (Traditional Thai Massage) course exclusively authored and designed by a recognized Aachan and Master Teacher of Traditional Thai Yoga Therapy! Eighteen (18) different professional courses. 7 Free Textbooks plus Handout! Over 222 hours of professional Thai Yoga Therapy Educational Content! 2 Free NCBTMB/ FSMBT CE Courses suitable to renewal requirements for Massage Therapist National Certification Board License Renewal! Please NOTE! Of course, if you have already attended a LIVE SomaVeda® Thai Yoga Practitioner Program then the new LearnThaiYoga on-Line School gives you new review and updates on new materials and clinical applications to keep your work fresh and practical. Expand your practice! At the LearnThaiYoga On-Line School we are committed to bring you the very best instructional courses and support materials. Clinical Applications: Courses cover all aspects of Traditional Thai Yoga Therapy Practice from technique to clinical applications. 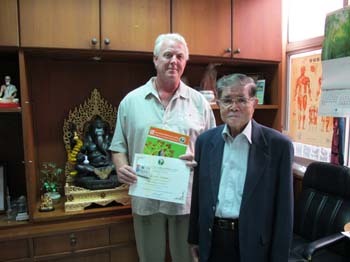 Dr. James is not just an AaChan and Master Teacher of Thai Traditional Ayurveda and Medicine, but he holds Doctorates in Medicine, Naturopathy, Oriental Medicine-Acupuncture, Ayurveda, Indigenous Medicine and a Masters of Science in Clinical Herbology plus other advance clinical boards and certifications… Only a Physician can give you a trusted clinical approach! We have over 200 new lessons scheduled to be delivered over the next six months! You can expect a new courses, new video’s and or new multiple lessons to be added and or updated weekly! The best part! How much does it cost? Only $12.00 per month! A Therapeutic Art and Science, developed for the benefit of mankind. The practical expression of loving kindness addressing the issues of pain and suffering. SomaVeda® incorporates elements of mindfulness, gentle rocking, deep slow stretching and rhythmic compression to create a singular healing experience. 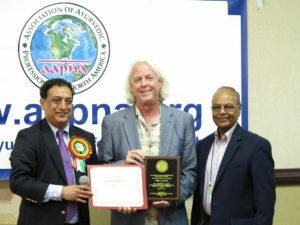 The four principle therapies used in traditional healing are Wai Khruu (paying respect and affirmations for mental, emotional and spiritual health), Herbs and Natural Substances, Sacred Nutrition or Eating for long life/ Diet and healthy eating and Laying On of Hands (Chirothesia/ Marma Chikitsa/ Yoga Therapy). SomaVeda® Certified and Authorized Practitioner’s and Therapist (Medicine Persons) determine best treatment strategy after intake based on traditional Vedic and western biologic assessments. They look at the whole person assessing the body, mind and spiritual needs of the client and then lay out a multi-day program which will methodically work through and treat appropriately the needs of the client. Every individual session and or component of the SomaVeda® Therapeutic Day program is unique and different. Think of the program as not just a treatment but a journey of discovery into the possibilities of healing based on this traditional therapeutic model. Content therapies included are based on Ayurveda, Yoga Therapy, SomaVeda® Thai Yoga, Medicine of Hope™, Indigenous (clerical/ pastoral/ ministerial) Healthcare, Healing Science and Medicine (IHSM). It brings fundamental elements and energy into harmony; creates wholeness of mind, body and spirit, in the client and the practitioner as well. It is is an excellent alternative form of vibrational and energy based healing work. It is suitable for rehabilitation, pain relief, and stress reduction. Nurturing, calming, and enlivening SomaVeda® will expand your ideas of what hands on healing can be. Basic Program: Seven different sessions over a period of seven or more days. However, please note: SomaVeda® Therapeutic Day programs are designed/ tailored for the individual client and their specific needs for health and balancing. That means this protocol will vary from one client to the next and will also vary over time as to what is emphasized and what is not. Advanced Therapeutic Day Programs may be over 20 or 30 individual sessions and incorporate both the basic protocol and adjuncts as deemed appropriate and necessary. The program will emphasize the balancing of both physiological/ structural and psychological/ emotional and the energetic/ vibrational as well including but not limited to 1) All the primary Chakra, 2) Over 700 Marma-vital points, 3) All primary energy lines i.e. Meridians and Thai Sen Lines, 4) Five Doshic Bodies, 5) Three Primary Dosha (Vatta, Pitta, Kapha), Ayurveda Pulse (Nadi Vignyam), 6) Over 300 therapeutic Yoga Asana or Postures. Total contact time average 10.5 hrs. All program/ sessions include Assessment, Sacred Therapy, food-nutrition and supplement counseling, Mental-Emotional and Spiritual counseling by a Certified NAIC minister/ counselor. Programs may incorporate Traditional Thai Yoga Mat, Table or Chair as appropriate for session and or client. ▪ SomaVeda® BET/ EFT Energy Psychology- Tapping for Mental and Emotional issues. ▪ SomaVeda® Sacred Nutrition: More specific coaching, education and demonstrations on obtaining and preparing whole food nutrition to support healing and wellness. • Increases tendon and connective tissue extensibility. For more extensive review of medical, clinical and anecdotal evidence for the benefits of the SomaVeda® Therapeutic Day program CLICK HERE! Besides the lowered impact on the environment, another reason to buy local is to support your local community! We buy food from Peggy and Jeff at Eco-farm because they are our neighbors! That’s it, that’s the reason. We want to support them, they are up to good things, they are helping us to have a longer, healthier, happier life and by God, if I’m going to support anybody in the world, before I send 100 bucks to the American Red Cross, I’m going to send 100 bucks to Peggy and Jeff with my local CSA (Community Supported Agriculture) and buy some food with it. I need them and they need me and that’s why I do it. Buy local. Make it personal. If you don’t personally know someone that you can buy food from, you need to cure that by getting out and meeting somebody who grows food. A clear conscience makes the food taste better! These choices to bring consciousness to what and how we eat need to be personal and emotional. That is conscience, by the way, and we need conscience. Edible means to eat food with a clear conscience. To have a clear conscience about what you eat. What does conscience mean? I’ll give you my definition. Conscience is an emotional realization of the truth. So its very important for me to have a good conscience about what I eat and to emotionally know that I am doing the best that I can. If I don’t know that and I go ahead and I consume it anyways, then I am acquiescing to the possibility that the food may cause harm to me and to somebody else. That’s tough, I know. Edible means to eat less meat. Research from many sources suggests minimum 95% plant-based nutrition and 5% animal products. That’s just science, its nothing personal. You want to live happier, healthier, longer lives? You want to support the soil on the inside and out? You want to support the ecology and reduce global warming? You want to have more support for democracy in the world? Eat less meat. And then, whatever meat you do eat, make sure that you’re supporting the local farmers, that it is organic, grass fed, free range, chemical free, antibiotic free, etc. Don’t expect to change overnight! I use the 95/5 idea because it is unrealistic to expect everyone to become a vegetarian now. We have several thousand years of indoctrination into “eating meat equals prosperity” to overcome. We’re not going to be able to turn on a dime. You vegetarians and you vegans, get the freak off the backs of your meat-eating friends! Get off their backs, because what you resist, persists. The harder you push them, the harder they will hold on to those unproductive ways of eating. If you want people to change the way they eat then do it by example. Make the most nutritious, happy, fun-filled, exciting food that you can to share with them, so that they feel like it would be crazy not to eat your delicious food. That will make it easier. Edible means to prefer a plant-based diet. Aside from the morality question of cruelty to animals from factory production of animal based foods, animal food factories are the single largest users of antibiotics. 70% of all manufactured antibiotics go to animal food production. You need to know this especially if you are against the use of antibiotics and you think that the epidemic increase in antibiotic-resistant methicillin and staph bacteria is not a good thing. 70% of the antibiotics are not being used on human patients, but they are going to the cows that people eat. Then they go from their urine and their feces into the water supply. Then from aquifers into the water supplies of the hospitals where it is then recycled into the bodies of people with deficient immune systems, where they then become susceptible to antibiotic resistant bacteria. See? It’s the circle of life. Eat less meat. Prefer a plant-based diet. Why? That’s the way foods naturally grow in the world, in a healthy ecosystem, and it is also the way they are supposed to come into our system, in great variety and in seasonal rotation. Every type of food offers a different nutrient profile and benefit towards helping you living a full healthy and happy life. Give every good thing in nature the possibility of sharing its life enhancing qualities with you. Variety and diversity strengthen your immune system and make your taste buds happy. There is research that suggest that rotating your foods and diet can reduce allergies and may even be part of a productive strategy for mental and emotional health. Ortho-molecular Medicine and research specializes in this field. Try more. Try everything! For everyone sake grow something! Grow a good perma-culture based garden in a little square foot of land- you should be able to grow 6, 8 or 10 different kinds of plants. If you don’t have that little plot then invest in a pot of some kind and put an edible plant, vegetable, herb, or flower in it. Practice becoming a more conscious person by nurturing and caring for it until it matures and then eat it! Everyone can and should grow something. No reason why not! I’m serious, grow something to eat! ANYTHING! Everybody here should be growing one food item. Grow anything! Grow a chive! I mean come on, grow something. Anybody can grow a Chia pet. You can eat them! It’s about elevating your consciousness and bringing energy, attention, consciousness, breath and pressure to changing your environment. GROW SOMETHING. Go to Thailand, you’ll see farms that if you’re not paying attention you would never know it was a farm because it looks like an overgrown jungle. You say, “What do you mean, this is a farm?” And they say, “This is a multi-generational farm! We’ve been farming here for years.” You say, “But we’re on a trail in the jungle!” And they say, “No, no, you’re on a trail through the farm!” You look around saying, “What farm? What are you talking about?” The guy reaches out and plucks a leaf off a bush and says, ‘”Put this in your mouth.” You take a bite of it- its green tea! “Whoa! Oh! There are tea plants here!” He says, “No, there are ten thousand! This is a tea plantation.” This all happened to me and I thought I was in a jungle. I said “Well, what is all this other weeds and under-growth around the base here?” He says, “Oh, that’s edible morning glories, and these are coffee.” Did you know coffee and tea grow together? They can! You don’t have to mono-culture either coffee or tea! I said “Oh, well what is this kind of viny thing here that looks like it’s choking the life out of these plants?” “Oh,” he says, “that’s edible morning glory.” Turns out to be one of my most favorite edible green foods on the whole planet. Edible means to eat seasonally for your region of the country. A billion years of survival data in our DNA tells us that the most appropriate foods for us to eat at any given time are the foods that are ripe and ready for harvest right this moment. That’s what we are supposed to be eating right now. If you don’t know what that is, well that shows the measure of separation from the environment that you are currently suffering. The proper treatment is education and experience! Edible should mean- eat only foods that you know you’re not allergic to! Stop eating that which inflames you! I’d bet that everyone in this room knows or suspects something that they eat that they are allergic to. When you eat foods that are allergens, they cause a histamine reaction in your brain. This triggers an inflammatory response in your tissue, which triggers edema. Inflammation and edema are the hotbeds of disease. So one of the ways to prevent disease through your eating habits is to stop eating the foods that you already know you’re allergic to. That means stop eating any food that when you eat it regularly it makes you feel bad. It’s really easy, but we’re so out of touch with our inner ecology that we don’t know this. Consider your overall attitude towards eating new food in general, if it has a label, READ IT. Don’t buy it until you actually read the label. You will be surprised how many times you will put something back that you were 99% sure you were going to buy after you read the label. Composting is one of the very best ways to justify our existence on this planet. It’s one of the proven simple technologies that actually feeds the earth. As a practice it runs contrary to the trends overwhelming the eco-systems and environment with harmful waste. Composting keep the useful biomass out of the land fill and on the soil where it belongs. Keep in mind that “circle of life” thing. Using your own compost to enhance the soil of your garden, or your friends garden will help insure more vital and amazing foods. These foods have more minerals and bio-available nutrients and healthy bacteria. Composting supports the process of these foods becoming our essential medicines. Everyone should compost. Before shopping, make a list- if it is not on your list it is probably not edible. Involve your family, friends, church, social network or group in a food project, or join one. Edible should be part of that. We have to be ninja. I’m a ninja for food! You want to know I am a healthy food ninja? How I went from a raging carnivore to a plant based diet? Know how I do it? Julie and I, we craft in the secret dark recesses of our attic with our candles and our sigils on the floor and our sacred tomes of secret knowledge (I mean favorite recipe books) and we flip the pages and we recite the ancient magic incantations of holistic, organic, local, fresh, seasonal ingredients and we put them (boil, boil, toil and trouble) into our cauldron (our safe crokery) and we put our own energy and our own sacred essence in to that boiling cauldron of magic elixir and we call it to allurement, we call it to glamor, and healing affirmation and we call it to create life and we call it to manifest our vision for the world as we see the swirl of the world inside that pot and then we serve that on the table and its an irresistible force. People are drawn to it, “OOOOHHH! What is that?” And Julie goes, “Dinner!” Then they eat and they are like, “oh, uh, um, how?” You can see it, the trying to adjust, trying to adapt, trying to encapsulate the idea that the tastiest thing that’s ever crossed this inner and outer brain barrier, has no meat! And it’s tasty! And it’s medicine! Then they start to make these little adjustments. “Hey, do you have a recipe? What are the ingredients? Is it hard to make?” “Nah,” we say, “you just throw some healthy ingredients, veggies, herbs, grains, herbs, minerals in a bowl and stir it up! It’s easy!” And then they start to do it and next thing you know, you’ve saved a soul, you’ve got another person who is going to live a longer, healthier, happier life. An amazing possibility is occurring right now! Right now this second there are groups just like the group in this room who are having the exact same conversation about exactly the same topics in about a hundred different locations around the planet! Right now this minute! That’s never happened before, so that’s our possibility of hope. But what are we going to do with it? That’s the question. Its one thing to philosophically get it and it’s another thing to have practical solutions. I’m going to go through some practical solutions. We’re ahead of the curb, right? I’m a hopeful guy, I actually do believe that there is hope that we can come out of this and we can actually survive in a good way. That is what I work for. What’s the core issue with sustainability? I want to focus on what I think is really the fundamental issue in sustainable eating and health. Pardon me if this is elementary because I know there are some experts in the room, but I’m just speaking across the board. I believe the number one issue is food. I have all these doctor technologies and no matter what I learn I keep coming back food as the number one issue. It’s the one issue above all others that we actually have the capacity to substantially control. So because we have the ability to have some input in relation to what we eat, where it comes from and what the impact is of our food on ourselves and on our environment, it’s one of the places where we can add our influence, both internally and externally. That’s why I choose to focus on food. I’m going to keep coming at it from a health point of view because I just can’t help it! Whatever it takes to live a long and happy life! Hippocrates said “let they food be thy medicine and thy medicine be thy food.” So what is medicine? There are a lot of misconceptions about what medicine is. The definition of medicine is same as the definition of sustainable living! There’s a source of conflict and confusion right there. We compartmentalize and create distinctions and say, “medicine is over here, and food is over here.” There is some crossover but it is a misconception and a misperception that they are unrelated. Let’s go back to the definition of sustainable living: Whatever it takes to live a long healthy and happy life, while respecting and caring for the community of life in which we live. Well guess what? That’s the definition of medicine too: whatever it takes to live a long and happy life. Let food be your medicine, let food be part of your strategy of whatever it takes. Let whatever it takes to be happy be your food, so let’s stop eating things that don’t make us happy. That’s a real simple way to say it isn’t it? Statistically speaking, other then changing your eating habits the number one thing you can do to prolong your life and guarantee that you’ll have a long healthy life in this country (I’m not necessarily talking about the whole world) is to do whatever it takes to stay out of hospitals and to stay out of the conventional medical system. The current system has failed. Where is the outrage? I’m a pastoral medical doctor so I get a copy of JAMA and the different journals that are published under the banner of JAMA. According to JAMA, give or take, some 380,000 people a year die directly from medical malpractice. I think this is a conservative estimate because it might be a little self-incriminating. We drive down the highway and see billboards of the sheriff with the reflective glasses and the words “drive drunk and pay the price.” We see MADD billboards with the cameo of the teenage son or daughter who will not live a long and happy life because of an incursion due to drunk driving. Virtually every city in the country including has federal, state and local funding of millions of dollars for the formation of DUI task forces, random roadblocks, and breathalyzers. There have been 12,000 constructed expansions of prisons in the US just to take the additional prisoner loads of DUI’s into the jail system and the legal system. There are about 48,000 deaths a year on average as a result of drunk driving. I’m not saying that I support drunk driving, but compare that to 380,000 deaths a year due to medical malpractice. When is the last time you were driving down the road and you saw a billboard with a man or a woman in a white jacket with a stethoscope hanging around their neck with a “have you seen this person? Call “1-800-STOPDOC” to report that you have seen one of these people wanted for murder, mayhem, malpractice and for just damn not trying to help you and being part of a system that kills you at 4, 5 and 6 times the annual rate of drunk drivers.” That’s not the bad news; it gets worse. I’m not quoting the national inquirer, although technically it might be more accurate and I’m sorry to say that. According to these medical statistics, another 400,000 die simply from unsuccessful procedures that were properly applied. In other words, it wasn’t malpractice. They did exactly what was the standard medical practice according to standard medical disciplines, according to standard medical procedures. 400,000 people died from operations that were considered a complete success. They did everything right and the patient died. These numbers are per year, not in the last 100 years, but the annual numbers! 400,000 people died from side effects. There is no such thing as a side effect! How many people have heard that there is such a thing as a drug side effect? You have been misled and that is a programming issue and propaganda issue because there are actually NO side effects of any known prescription drug or procedure. There are secondary effects that we don’t want, which are less popular. You can get a copy of a Merck Manual or the Physician’s Desk Reference to Drugs and for every single drug there will be the primary benefit listed and immediately there will be up to 92 different secondary effects. For marketing, they are referred to as “side effects” as if they are optional. A relative of mine has an advanced degree in pharmacology. He would say that it is all chemistry- you ingest the chemical and get the effect. The chemical doesn’t know primary from secondary. The chemical doesn’t know what a side effect is, it just does what it does. For many of these drugs there are up to 92 side effects and I’ve even seen a drug that has more than that. Generally there are between 70 and 90 secondary effects and about a third of them are fatal. That’s how you get these 400,000 deaths. We need to be logical, so how do we get there? That’s not the malpractice, that’s when everybody agreed that it was appropriate for you and it still caused you harm. So what is the alternative? If we are not going to rely on the conventional medical system as our primary health care, then “let food be your medicine and medicine be your food.” The source of your primary health care has to be your eating habits. You have no choice! There is no other alternative. I know some of you that might be offended to even hear me say so, but I am giving you my professional medical advice. As you would with any doctor, or perhaps as you should do with any doctor, take my advise or leave it. Traditional Chinese Medicine theory postulates that health is a dynamic equilibrium between internal and external pernicious influences. Health is a constant balancing act. This could be anything that reduces our capacity to live the full natural possibility of life or whatever life as a human being on this planet could be. That includes everything from the environment and landscape, both internal and external. Internal pernicious influences are what take place when harmful influences bridge the world-skin barrier and become part of us causing changes within us. This includes mental and emotional psychology, the ecology of our inner world and how we handle toxins, virus, bacteria, and cancers. The external landscape is everything outside of your skin that has the ability to affect your longevity, health and well being. We can also talk about the 5 elements because we have fire, earth, metal, water, and wood, or in Chinese medicine and Ayurveda we have ether, air, fire, water and earth. Any way you slice it, whatever is out there is part of us and then we have this really funny philosophy that says that we are also part of everything that’s out there. So health is about managing this equilibrium between the inside and the outside, the two landscapes. Sometimes we use the word soil, and I know perma-culture people really want to talk about the soil a lot; in fact, that’s one reason I love them! The first book I ever read on the soil was Secrets of the Soil and I developed this whole different idea about the ground and what the nature of the soil was. I learned that it was alive and there was energy in it and that it was communicating to me! Of course I knew from my bible lessons as a child that eventually I would become the soil. I thought, “Whoa! Dirt to dirt! So what you’re saying is that I’m actually a child of the soil and that I am soil in a flesh bag walking around for a while and then I go back to my origin which is the soil?” Somewhere I had lost the connection or the conscious knowledge that I was really just a bag of dirt walking around. What is my function then, as mobile dirt? I realized that part of the reason why we are so unhealthy is because we have been separated from our proper relationship to our mother ecology, which of course is the soil. Now that we are ego-encapsulated soil flesh bags we think that we are separate and somehow isolated from the total environment that surrounds us. We pretend and we act and we create structures that are based on this false idea that we are somehow separate from the soil. We no longer rely on the soil as our nutrient base and we no longer honor the fact that its part of our lifestyle to sustain the soil. When we say, “Oh, I’m looking for my path,” we are really wondering, “What is the purpose of a human being?” A human bring is a mobile expression of the vital life of the planet. There are probably lots of purposes for human beings but part of the reason why we were given legs in the first place was to act as landscapers, caretakers, moderators and enhancers of the vital communication capacity of the earth that is expressed in the life of the soil. It is the proper time to rejoin the community of other sentient beings and the earth which all return their essence to the dirt. You might say, “Oh my god, that’s just crazy!” You know what? If you start to think about it like that for a minute, I think some things might come clear. Like the Native Americans say, “What is a human being? An upright two-legged being.” No different than any other! No different than the four-legged, no different from the ones with wings, no different than the ones that swim. No different than the ones who crawl through the earth and no different than the microbes. Guess what? Microbes are sentient. How about that? Bacteria is sentient, virus is sentient. Like the Dalai Llama says, “ALL LIVING BEINGS ARE SENTIENT.” We pray for all sentient beings, so when we are praying for all sentient beings we pray for the virus and the bacteria. I am concerned about the possible risk and benefits associated with Kombucha Tea. Increasingly we have seen in the past year an increasing number of students in our SomaVeda® Thai Yoga Practitioner Certification as well as other SCNM College programs bringing or using Kombucha. The use varies from commercial branded products to home brew. First question is Kombucha a suitable natural remedy appropriate for Thai Yoga/ Traditional Thai Massage and other holistic healing practitioners to use? 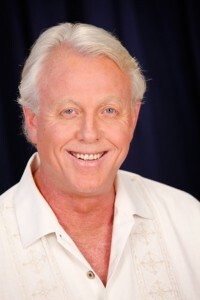 Second question is whether or not I feel as a Natural Medicine Practitioner and Dean of the SomaVeda College of Natural Medicine as to whether we should be using it in our programs? I decided to do a bit of investigation and found many references, some more authoritative than others as there is much hype and myth when it comes to Kombucha, Kombucha usages and health claims… Fortunately there is also some research. Especially as the use of Kombucha based products continues to grow. My final opinion after all of this is found at the end of this article. Celebrities are powerful role models and are important to consumers concerned with their health because of the perception that famous people have access to the best health practices and medical care. The public looks to celebrities for hope and inspiration as they struggle with their own health issues and fight disease. However the health practices that celebrities promote are often questionable and misleading. One currently popular folk remedy, kombucha tea, is part of the dietary regimens of multiple Hollywood actresses and entertainers including Gwyneth Paltrow, Kirsten Dunst, Lindsay Lohan, Madonna, Halle Berry, Meg Ryan, Anna Paquin, Cher, Barbara Streisand, Alec Baldwin and Susan Sarandon. The claims for its medicinal value are as far reaching as they are implausible and include aging, anorexia, arthritis, atherosclerosis, cancer, constipation, diabetes, gallbladder disease, gout, hemorrhoids, hair growth and color restoration, headache, hypertension, HIV, immune boosting, indigestion, increased vitality, treatment of alcohol and coffee addictions, and wrinkle reduction. Kombucha is a form of black tea and sugar that is fermented using a combination of bacterial and fungal cultures that form a “mushroom” on top of the fermentation vessel. It originated in China thousands of years ago, eventually spreading to Europe, and is today becoming increasingly popular, through celebrity use and endorsement, in the U.S. and U.K. Many home brew recipes for making kombucha may be found on the Internet but it is also manufactured and sold by companies such as Synergy Drinks. Most of the reports of human consumption of kombucha tea are case reports of toxicity, in some cases, life-threatening. The greatest danger from kombucha seems to arise in “home brew” versions that have become contaminated because of improper preparation and/or when kombucha interacts with alcohol or prescription drugs. Observed adverse effects of kombucha consumption include hepatitis, xerostomia, dizziness, nausea, vomiting, headache, shortness of breath, restless legs, abdominal pain, hypotension, and tachycardia. In most cases, patients fully recovered after discontinuation of kombucha and symptomatic treatment. However there are case reports of serious and sometimes fatal cases of hepatic dysfunction and lactic acidosis. In addition to oral ingestion, skin application of kombucha is also used as a topical analgesic. Such use has resulted in cutaneous anthrax infections from kombucha stored in unhygienic conditions; such conditions make kombucha preparations a potential medium for the growth of pathogenic microorganisms. Because folk medicines, herbal remedies and dietary supplements, including Kombucha tea, are not considered foods or drugs, they are not routinely evaluated by the U.S. Department of Agriculture or the U.S. Food and Drug Administration (FDA). According to the U.S. Centers for Disease Control and Prevention (CDC), drinking this tea in quantities typically consumed (approximately 4 oz daily) may not cause adverse effects in healthy persons; however, the potential health risks are unknown for those with preexisting health problems or those who drink excessive quantities of the tea. Recently, Whole Foods removed kombucha drinks from its store shelves because they can contain alcohol as a product of the fermentation process. This fact was used as a possible explanation for why actress Lindsay Lohan’s alcohol-monitoring (SCRAM) bracelet was activated even though she asserted compliance with court orders not to drink alcoholic beverages. 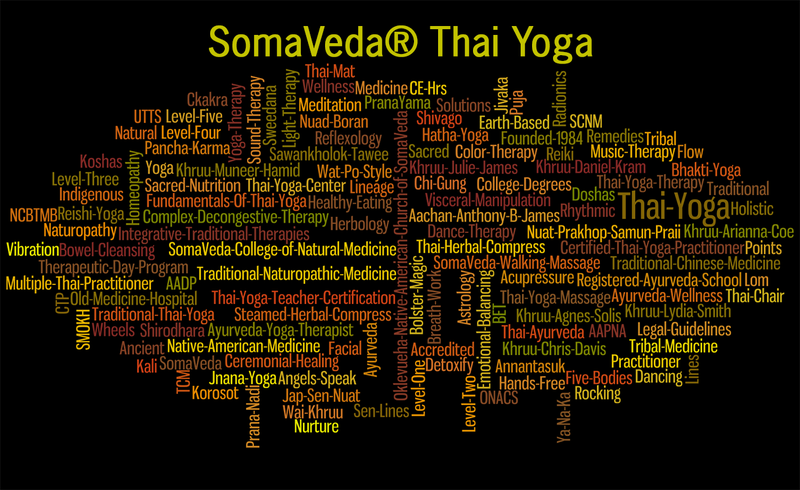 SomaVeda® Thai Yoga and Nutrition Counseling Certification! Kombucha is the flavor of the day when it comes to popular drinks and it’s easy to see why. It’s slightly fermented tea has just a bit of carbonation to it, making it seem like a soda, but without the massive amounts of sugar that many sodas have. Kombucha also has live cultures in it that are said to promote healthy digestion in people who regularly consume it. Could there also be hidden Kombucha health risks of which people are unaware? Did You Know That Kombucha Contains Alcohol? In order to create the magical sweet and sour aftertaste of Kombucha, a combination of bacteria and yeast is allowed to naturally ferment over a period of time. This culture is then added to the tea and then bottled. What happens during the fermentation process? Alcohol is created! If allowed to continue fermenting over time, the alcohol level of the drink will actually increase. World Foods this year had to recall many of their Kombucha products because they believed the alcohol content of the tea had risen above the 0.5% legal threshold. That means if you drink too much Kombucha, you could become legally drunk in some areas, especially those with a .05 legal limit. This alcohol can interfere with certain medications as well, especially painkillers. Sometimes the human body struggles to release the byproducts that it creates through normal everyday use. This can result in lactic acid buildup, uric acid buildup, and in turn, these buildups can cause medical problems such as gout or lactic acidosis. Because Kombucha is acidic in nature, it creates a situation where the body is forced to expel the acids that you’ve consumed with this drink before expelling the other stored acids. When Kombucha is consumed regularly, it can possibly prevent the body from expelling those pent up acids, causing severe health issues. One woman is known to have died from cardiac arrest because of the Kombucha she consumed. Others have suffered severe medical emergencies because of acidic levels in their bodies due to their consumption of Kombucha too. The nature of Kombucha is that it creates the prime working conditions for mold development, especially molds like penicillium. For those allergic to penicillin-based drugs, Kombucha could potentially create a life threatening allergic reaction if it has sat out long enough to develop mold. This is especially true for brews that have not been refrigerated. Though this is a low Kombucha health risk compared to the others, it is still a risk. Chances are good that consuming Kombucha is not going to create a health problem for you. There are historical precedents set, however, that Kampuchea health risks do exist, especially for specific health groups. That’s why it is important to understand your current health needs and know if Kombucha may negatively interact with them. Added by Nick Ng on July 28, 2014. Proponents of kombucha tea claim the drink, created by certain types of fungi and bacteria that contribute to the fermentation of the tea, has anti-cancer properties and can “detox” the body. Kombucha is a type of black or green tea from the plant Camellia sinensis, that is fermented for about a week, to which certain types of bacteria, fungi and sugars are added. However, the cumulative scientific evidence as well as studies conducted in the past decade show that kombucha drinks’ risks outweigh their benefits. According to the American Nutrition Association, Kombucha is claimed to have originated in China thousands or hundreds of years ago – depending on the source – and has mystical powers to prolong life and improve health. Some even claim that drinking Kombucha can treat AIDS, diabetes, obesity and a host of common diseases and disorders. However, none of these claims have been verified. (Forsch Komplementarmed Klass Naturheilkd) that did not find any clinical trials or case series in which Kombucha had any hint of medical benefits. “Based on what’s known about the active ingredients, there’s no reason to expect it would offer any medicinal effects other than the consequence of low levels of alcohol or caffeine.” Like Examine.com, Gavura listed documentation of toxicity and harm related to Kombucha consumption, including hepatitis and metabolic acidosis. Even though drinking Kombucha has risks that outweigh the “benefits,” both Examine.com and Gavura agree that if people like the taste of the product, drink it wisely. Examine.com suggested that consumers purchase kombucha from “trustworthy producers with sanitary working conditions and properly trained staff” to minimize cross-contamination. Gavura said that drinking Kombucha “probably won’t kill you.” Considering the lack of documented health benefits, there is no real benefit to consume it unless it is just for the taste. As with any food, Gavura suggested that people should weigh the risks and benefits. In the case of kombucha, it may not be a wise choice for some people. It’s a SCOBY (Symbiotic Culture of Bacteria and Yeast), a term coined by Kombucha enthusiast Len Porzio in the mid-1990′s. It may not look appetizing, but it creates a very popular fermented beverage that goes for $4 a bottle in the health food stores. Luckily, you can make it very inexpensively at home. 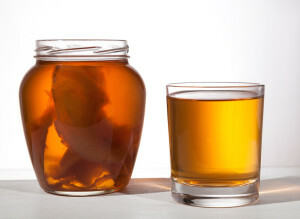 You just need 6 simple ingredients: a SCOBY like the one pictured above, tea, sugar, clean water, a warm place, and time. The final product contains a blend of beneficial bacteria and yeast (probiotics) as well as certain acids and enzymes that aid digestion, detoxify the body, and promote health. However, with popularity sometimes comes infamy, and a number of myths have cropped up surrounding kombucha over the years. Let’s separate the myths from the truths. The science of fermentation is one practiced in homes, rather than laboratories, and for that reason it has an air of mystery. These living foods change from batch to batch, and since they can’t be patented or highly controlled, there’s no real incentive for the science community to spend resources in research. Therefore, health claims tend to be anecdotal, and certain assumptions about the “science” behind the process get spread with no real evidence to support those assumptions. We know fermented foods are powerful in their ability to support a healthy body, and restore balance to an unhealthy one. We don’t really know the fine details of how this occurs. Well, Michael Roussin, Kombucha lover, decided he wanted to know what exactly was in this drink that made him feel so good. With the help of a professional lab, he spent 18 months testing 1103 samples of Kombucha, from batches all over North America and parts of Europe, with different teas, sugars, temperatures and brewing times, and he discovered some surprising things. The complete report of his research is for sale through his website. • Although Kombucha is made with sugar, by the end of the fermentation cycle, none remains. MYTH. There will always be a little sugar remaining, and the amount depends on how long the tea is fermented. Generally, people brew the tea according to their taste. A 5-day brew is going to have a high quantity of sugar remaining. A 30-day brew is going to have very little remaining (yet still some). Most people brew the tea for 7-12 days, when it has a tangy sour flavor with a touch of sweetness remaining; on average, the amount of sugar at this point is 16 grams per 8 oz. cup. This is equal to 4 teaspoons of sugar. You could brew the full 30 days to minimize the sugar, but at that point, the drink is so sour, people usually add juice to make it palatable. If you do this, you’re going to get 12-20 grams of sugar from the juice. This is why many people call it a healthy soda-pop. The “healthy” part comes from the high amount of probiotics and beneficial acids it contains, and rest assured the sugar content is much lower than regular soda. You may feel tempted to try to make your Kombucha with less sugar or no sugar at all, but sugar is the food your SCOBY needs to create the probiotics and acids you seek. It will become malnourished and eventually die without it. If you want to know the sugar content of your home brew, you can use sugar test strips. Update: Silvia (in the comments below) did the math and noted that 16 grams per cup is the amount of sugar added when you begin the Kombucha brew, so how is it possible that it’s still that concentrated at the 7-15 day mark? Here’s why: In the first stage of fermentation, the yeast uses the minerals from the tea to produce enzymes that separate sugar into glucose and fructose. At the 7-day mark, that’s as far as the process has gone. The sugar is easier to digest, but hasn’t yet diminished in concentration. By the 15-day mark, it is just starting to eat/diminish the sugar content (3.3 teaspoons of sugar per cup remaining at that point.) The sour flavor comes from the acids that are forming, but that sweet tone is still the sugar, unless you brew it a full 30 days. A study done by Cornell University confirmed these results. • Kombucha is rich in B vitamins. MYTH. Although it does contain these vitamins, the amounts are so small they are almost immeasurable. This was confirmed by the International Journal of Food Science and Technology. • Kombucha is rich in glucuronic acid, a powerful detoxifier of the liver. MYTH. There is no glucuronic acid in Kombucha. Ironically, Roussin began his experiments intending to prove otherwise. He read a book by Harald Tietze in 1995, who said no reputable lab had ever found glucuronic acid in Kombucha, so Roussin hired a reputable lab to prove him wrong. When he confirmed its absence instead, that got him curious about the other assumptions people had about Kombucha, and his experiments continued. Roussin believes the glucuronic acid myth was born of research from the 1940s, where researchers tested the urine of people who drank kombucha and found high levels, and therefore assumed the kombucha was providing it. Instead, Roussin’s lab found that kombucha contains a different acid that is a synergist to glucuronic acid. Glucuronic acid is made naturally by the liver and works by binding to a toxic molecule and carrying it out of the body. The high levels of glucuronic acid in the urine could have been due to the other acids in kombucha helping the glucuronic acid in the body do its job. So, kombucha is indeed detoxifying, but we are continuing to learn exactly how. • Kombucha contains hyaluronic acid and glucosamine, which is why it’s so effective in relieving joint pain. MYTH. Kombucha contains neither of these compounds. However, it does seem to have a positive effect on the joints. Roussin’s theory is that it contains the building blocks for these compounds. • Kombucha contains over 50 different kinds of probiotics, organic enzymes, amino acids and vitamins. MYTH. Every batch of kombucha is different. The only things every batch contains are: (1) at least one beneficial yeast, (2) acetobacter (the beneficial bacteria in the SCOBY), (3) gluconic acid (a pH regulator) – note: this is not the same thing as glucuronic acid referenced above, and (4) acetic acid (an anti-microbial acid, which also stabilizes blood sugar) . Most batches of kombucha will also contain an analgesic (pain reliever), an anti-arthritic compound, an anti-spasmodic compound, a liver-protective compound, and several anti-bacterial compounds. The blend varies from batch to batch. See why this elixir can’t be patented? It embodies change. • Kombucha can cure everything from arthritis to gout to HIV to cancer. MYTH. As Hannah Crum of Kombucha Kamp says, “Kombucha is not a panacea – it doesn’t cure anything! It brings the body back into balance so that it may heal itself naturally. That is how it is able to do so much.” Results vary from person to person. Many people do say it helps their joint pain, keeps them from getting sick, gives them energy, aids their digestion, clears their sinuses, reduces their blood pressure, clears their eczema, alleviates their headaches, and the list goes on. Then there are other people who say they enjoy the taste, but don’t really notice any effect. The only way to know what it can do for you, is to try it. • Kombucha is an alcoholic drink. TRUE. However, it’s a very small amount, usually between .5 and 3%, depending on length of fermentation. (Beer contains 4-6%.) Single fermentation home brews of kombucha usually contain only .5% alcohol. If you do a second fermentation in a bottle, to flavor it and increase the carbonation, the alcohol content will increase slightly. Store bought brands were found to contain more, because the product is still fermenting in the bottle, and a long time can pass between bottling and purchase. For this reason, kombucha was temporarily pulled from store shelves in 2010, while the federal alcohol trade bureau tested numerous samples and developed guidelines for kombucha manufacturers. Now, all store bought brands are supposed to have taken steps to prevent fermentation from continuing in the bottle. Sadly, this often means pasteurization, which limits the benefits of the drink. Mother Jones: Is Kombucha Really Good for You? “As an occasional kombucha drinker, I enjoy the strange, sour aftertaste of the trendy fermented beverage. But after spending as much as five bucks for a 16-ounce bottle of the stuff, I decided to see if I could successfully—and safely—brew my own batch. I also wondered whether the claims about kombucha’s health-enhancing properties had any merit. Kombucha, popularly called kombucha mushroom, a combination of yeast species and acid forming bacteria, that was quite popular in the US in the mid to late 1990s, but has since not been in the limelight. Some people call it kombucha mushroom but technically it is a symbiosis of several yeast species and bacteria. There have not been any reliable human studies with kombucha tea published in recent years in the Western medical literature, therefore, at this point, it is difficult to report definitive proof of kombucha benefit. Rodents studies indicate it has antioxidant and immune influencing properties, ulcer-healing, along with liver protecting and anti-stress potential. It may have anti-bacterial activity. Other studies in rodents indicate that, compared to black tea, kombucha tea is a better inhibitor of alpha-amylase and lipase activities in the plasma and pancreas and a better suppressor of increased blood glucose levels, which could be of benefit to those with high blood sugar issues or who have diabetes. However, some human case studies as listed below raise some concern about possible risks and dangers. J Med Food. 2014 Feb. Current evidence on physiological activity and expected health effects of kombucha fermented beverage. The aim of this review is to give an overview of the recent studies in search of experimental confirmation of the numerous KT health-promoting aspects cited previously. Analysis of the literature data is carried out in correspondence to the recent concepts of health protection’s requirements. Attention is given to the active compounds in kombucha tea, responsible for the particular effect, and to the mechanisms of their actions. It is shown that KT can efficiently act in health prophylaxis and recovery due to four main properties: detoxification, antioxidation, energizing potencies, and promotion of depressed immunity. The recent experimental studies on the consumption of KT suggest that it is suitable for prevention against broad-spectrum metabolic and infective disorders. This makes KT attractive as a fermented functional beverage for health prophylaxis. Kombucha side effects have been reported. A rare case of myositis has been mentioned with drinking. Other possible problems include harm to liver and lactic acidosis. These harmful effects are rare compared to the number of people who drink this tea. A case of kombucha tea toxicity. J Intensive Care Med. 2009. Division of Pulmonary/Critical Care Medicine, Cedars-Sinai Medical Center. Kombucha mushroom tea is touted to have medicinal properties. Here, we present a case of hyperthermia, lactic acidosis, and acute renal failure within 15 hours of Kombucha tea ingestion. A 22 year old male, newly diagnosed with HIV, became short of breath and febrile to 103 F within twelve hours of Kombucha tea ingestion. He subsequently became combative and confused, requiring sedation and intubation for airway control. Laboratories revealed a lactate of 12.9 mmol/L, and serum creatinine of 2.1 mg/dL. Kombucha tea is black tea fermented in a yeast-bacteria medium. Several case reports exist of serious, and sometimes fatal, hepatic dysfunction and lactic acidosis within close proximity to ingestion. While Kombucha tea is considered a healthy elixir, the limited evidence currently available raises considerable concern that it may pose serious health risks. A case of anti-Jo1 myositis with pleural effusions and pericardial tamponade developing after exposure to a fermented Kombucha beverage. Clin Rheumatol. 2004. Division of Rheumatology, Thomas Jefferson University Hospital, Philadelphia, PA The pathogenesis of the idiopathic inflammatory myopathies has been postulated to be an environmental trigger causing the expression of the disease in a genetically predisposed patient. We report a case of anti-Jo1 antibody-positive myositis which was associated with pleural effusions, pericardial effusion with tamponade, and ‘mechanic’s hands’, probably related to the consumption of a fermented Kombucha beverage. Kombucha ‘mushroom’, a symbiosis of yeast and bacteria, is postulated to be the trigger for our patient’s disease owing to the proximity of his symptoms to the consumption of the beverage. Can a person experience an onset of psychosis from ingesting kombucha tea? A friend began drinking this tea and within 2 weeks began having psychosis like behavior. Perhaps it is possible in rare cases that this can occur, but one has to rule out other supplements, medications, drugs, etc., that the person may have been ingesting. Kombucha tea is made by fermenting several species of yeasts and bacteria along with sugar in black tea. The colony of yeast and bacteria is called a kombucha mushroom, although it is not actually a mushroom. The resulting tea has been promoted as a panacea for serious conditions such as cancer, autoimmune disorders and aging, however there is no scientific evidence for these claims. There is, however, evidence for serious side effects of kombucha tea, including death. Liver damage is another side-effect associated with drinking kombucha. Although complete liver failure resulting in death is rare, it is not impossible. The 22-year-old who developed acidosis and died shortly after consuming kombucha tea also went into liver failure. More commonly, according to the American Cancer Society, liver damage occurs in kombucha drinkers as jaundice. As jaundice sets in, your skin starts to turn yellow, often followed by your eyes and nails. Kombucha is an ancient Chinese remedy used to support overall wellness and longevity. The substance is usually consumed as a tea and has gained popularity in the Western world. However, kombucha may not be the benign substance many believe it is. Kombucha dangers arise in a variety of forms, from allergic reactions to contamination. Since many batches of kombucha tea are brewed at home, the risks associated with this drink can be quite high. According to the American Cancer Society, Kombucha tea is made by fermenting sweetened black tea with the “Kombucha mushroom,” which is not actually a mushroom at all but a mushroom shaped culture of yeast and bacteria that forms while the tea is fermenting. There are many variables that can occur when fermenting and consuming the tea with potentially dangerous results. • Strains of molds, bacteria and fungi can develop which may cause serious illness. In fact, WebMD states on its website that 20 people in Iran developed anthrax infections after drinking kombucha tea. They go on to caution that the tea can be especially threatening to people with HIV or compromised immune systems. • The Centers for Disease Control (CDC) provided a report that lists case studies of individuals reacting badly to kombucha tea. In 1995, cases of unexplained illness, including one death, occurred in two people who drank kombucha tea for two months. • Overproduction of yeast can occur in the tea due to fermenting at too high a temperature, using a kombucha culture that contains a high yeast to bacteria ration, or allowing the culture to remain dormant too long before use. WebMD lists yeast infections as a possible side effect of kombucha tea. • Kombucha tea contains a high level of acidity, and this may cause problems for people with stomach ulcers, heartburn, or any sensitivity to acidic foods. Although some people claim that the ‘good bacteria’ found in kombucha can help those conditions, others find it aggravates them. Bottom line? Possible risk and benefits associated with Kombucha Tea. So, possible risk and benefits associated with Kombucha Tea? After reviewing over 100 articles and published studies there is no consensus on the or any proposed health benefits of Kombucha. This is especially significant as many of the benefits individuals are seeking are better, more reliably and overall more safely served with other delivery systems. Quality probiotics, enzymes and vitamins which are now easily and commonly available in certified laboratory grade products. Kombucha’s effects appear to mostly be attributed to the Alcohol and caffeine and sugar which is always present. Of very real concern is the high acidity and the Kombucha’s supporting acidosis which is now considered a very real health concern. Some of the lighter side effects may be due to the acidifying properties. Lastly, there is a risk of cross contamination with dangerous molds and bacteria such as penicillin strains which could be very severe especially if the individual is health compromised in any way. Kombucha’s purported antibiotic resistant qualities are uniformally over stated by proponents. There are far more effective and reliable natural alternatives to conventional antibiotics with little or no risk of exacerbation of existing conditions, harmful interactions and any risk. Although it may not be overtly harmful to healthy individuals drinking absolutely and properly prepared, on a limited basis no more than 2 to 3 times a week. It should be avoided when immune compromise is suspected. In answer to my first question whether I feel SomaVeda® Thai Yoga Practitioner should use or recommend to themselves or clients as a remedy? My overall vote is a NO as there are more readily available low to no risk alternatives for the same benefits. More Hype than help. Maybe in an “There is nothing else available” type of scenario. Additionally, we teach several proven antibiotic and or infectious disease treatment alternatives to all SomaVeda® students in class. As to whether we recommend Kombucha for use during our SomaVeda® programs? Again the answer is a no on using or making during programs… First of all we have a “NO ALCOHOL” policy for campus and since the majority of Kombucha products have varying amounts of alcohol it would not be suitable. Lastly, The risk is unpredictable from person to person and any use of Kombucha should be closely monitored for possible risk factors. Learn more with SomaVeda® Thai Yoga Video’s! Please Like, Comment and Share our Thai Yoga Mastery Articles. New information: Coffee Super Food: May Reduce Risk of Endometrial Cancer! I published my first article of Coffee Super Food Nov. 11, 2013. There have been some significant new studies and scientific papers supporting Coffee use since then. I am updating this information accordingly. There’s a lot of hype and mythology today regarding coffee and the consumption of coffee as possibly unhealthy. Many physicians for years have been warning their patients about the supposed risks associated with coffee drinking. They have said that coffee will raise your blood pressure, lead to heart disease, give you ulcers or make you diabetic. One gentleman I recently spoke to at his coffee bistro which he owns and operates, related to me how his personal physician had stated to him, “Drink another cup and you might die!”. In the moment I was trying to relate to what a successful coffee shop owner might think or feel having been given this little gem of wisdom by his personal physician. As a physician and coffee drinker myself, I have heard over time both pro’s and supposed con’s. My new friends dilemma is the genesis for this article. I’m sure he is not the only one. Drinking that cup of fresh, organic, properly roasted and brewed, premium coffee with a bit of guilt and or shame if not out right fear! Let’s work together to clear this up. 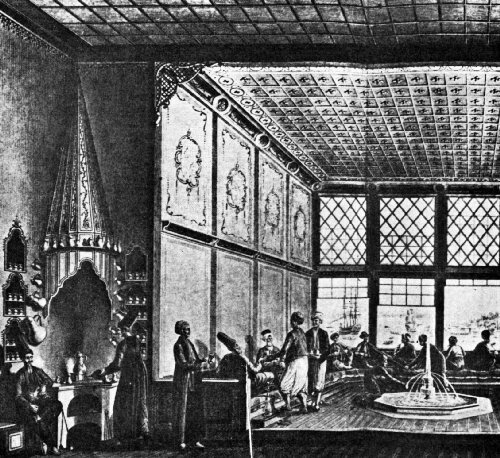 The introduction of coffee into the diet of the ancient Arabs and the subsequent development of the coffee house, coffee salon may have contributed greatly to the development of all of the arts at that time. Story telling, conversation, revolution, culture, mathematics, literature, philosophy, music, dance were all fair game. From a cultural developmental point of view it would be difficult to separate the positive influence of coffee and it’s gathering places from other important societal influences. May Lower Risk of Death! New! Endometrial Cancer: In a study published in the Medical Journal Cancer Epidemiol Biomarkers & Prevention, cited by PubMed.Org, Coffee was reported to lower levels of estrogen and insulin. Researchers in a 2011 study indicated these two hormones are implicated in increased risk of endometrial cancer. Further the study showed that fewer than 4 cups per day resulted in as much as a 25% lower risk than in those individuals who consumed 1 or less cups per day. However, they also said that additives such as sugar and cream to the coffee could offset benefits. (28) So if we are speaking of Coffee as part of an overall natural treatment approach then black coffee is the way to go. More recently, a study Published in the February issue, 2016 of Cancer Epidemiology, Biomarkers & Prevention, scientists found that drinking roughly 26 to 37 ounces of coffee per day reduced endometrial cancer by up to 18 percent. The study did not differentiate between whole, organic vs. decaf etc. Another trial involving consumption of 26 ounces per day identified a similar reduction, reports CBS News. (25, 26, 27) The bottom line? Coffee Super food: May Reduce Risk of Endometrial Cancer! How much coffee should one consume? That’s a good question and currently there is no hard and fast rule. While some of the studies and resources I have included here seem to indicate that the more the better, I think it’s actually important to self monitor and regulate based on how you feel. Some studies showed significant health benefits with consuming as many as four to six cups a day! However, when you feel your a your limit, drink more water! Shaking hands, nervous anxiety etc. show you it’s time for more water. Also, no matter how much coffee you drink daily, remember coffee should not be a substitute for water. The average person needs somewhere close to half their body weight in water every day to avoid dehydration and on the downside coffee is also known to be a diuretic. Lastly avoid all the condiments, sugars, syrups, creams etc. as they do not have the health benefit of just the freshly brewed coffee. It’s also a quality issue. For example a properly brewed, good quality, organic, coffee regardless of origin, will have more and better flavor profile. It will be less acidic or bitter and pleasing for the palate without all the adjuncts and additives. So, properly brewed, fresh, good quality coffee for maximum health benefit. It’s time for a guilt and fear free cup or two of Java. Coffee Super food: Coffee deserves it’s place at the “Super Food” table! Evidence suggest Coffee may Be a Superfood!